Pukeatua is a state school for boys and girls from Year 1 to Year 8 (5 to 13 year olds) offering both general class and Maori immersion class options. It opened in 2002 and has a current roll of approximately 140 children. The ethnic composition is 84% Maori, 6% European, 7% Pacific nations and 3% from other ethnic groups. Set in extensive grounds, the school has two large playing fields, large hard surface areas, three all-weather Adventure Playgrounds, a hall and a heated indoor swimming pool. 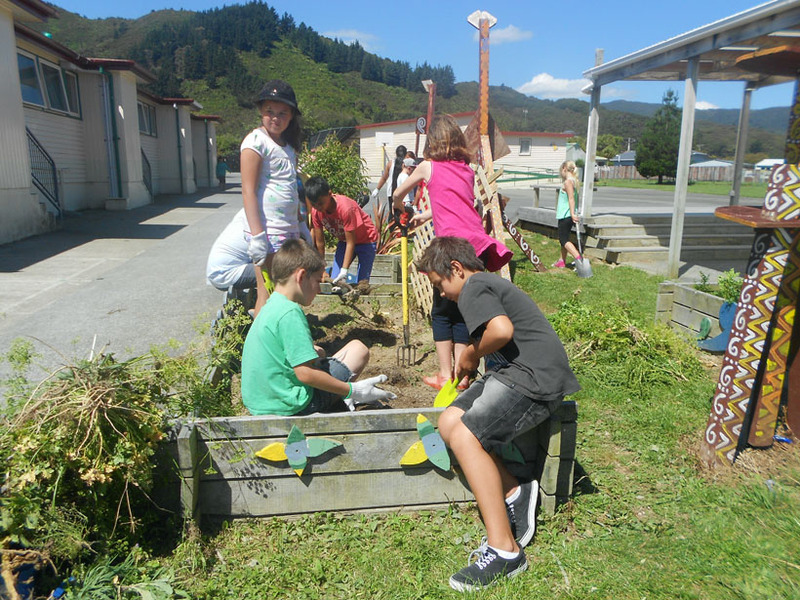 Pukeatua School delivers the New Zealand national curriculum in a child centred, pedagogically sound way and works with families and the wider community to provide children with the learning skills, knowledge and attitudes necessary for schooling success. Accepting responsibility for our own actions. that children need to experience success and feel good about themselves. that children are individuals - learning programmes aim to recognise individual differences and needs. that thinking and information skills need to be actively taught. that school and home work together to provide for children’s education. that children need sound routines, clear boundaries of acceptable behaviour, guidance and discipline. that the values, aspirations and wishes of the people who live in the community need to be reflected in our programmes of work. Pukeatua School is partially funded by the Government. However, we find that we have to raise money to purchase resources to support our classroom programmes. We appreciate the support parents provide in this way. The school is well resourced and the children have access to a wider range of resources and facilities as a result of our communities tangible funding help. In past years, funds raised went into the upgrading of the school library, enhancing the school environment - planting trees and extending the adventure playground, supporting and financing ICT (Information & Communication Technology) plan i.e. the use of computers, the internet, faxes, digital camera etc. These may be paid as a lump sum or in instalments. A receipt for taxation purposes is issued. We emphasise the partnership that exists between home and school in the education of the children. Co-operative efforts between parents and teachers mean children are far more likely to be successful at school. Parents and teachers meeting after school for a quick chat, or, if something needs to be talked about in more depth, telephone for an appointment out of class time. Teachers are not available during class time, as they have a responsibility to ensure their full attention is on their class. The Principal, has an open door policy and is happy to meet with parents/caregivers who call in. Because we strive to have a school where children feel safe, secure, happy and have the maximum opportunity to learn there are expectations regarding appropriate behaviour. Details of the school’s behaviour management processes are contained in a booklet which is part of the information pack. Families and students are asked to make themselves familiar with the contents of the Behaviour Booklet. A staff committed to ongoing training and development. Special programmes which assists those children requiring additional help with their learning. Teacher Aides who support teachers in working with children needing extra help in reading, writing and maths. A parent tutor programme where helpers work individually with children to improve their reading skills. A good resource base. The school is equipped with a good collection of up to date books, audio, visual and technological resources. Computer resources. All students have access to computers. All classes are being networked to have access to the internet. A library/information centre which contains a very good book collection.